Dr. Kiran Nasir passed her MBBS from Dow Medical College in 1997. She did her internships from Civil Hospital Karachi (CHK), her internal medicine residency from Agha Khan University hospital, Karachi (AKUH) and her Nephrology residency from Sindh Institute of Urology and Transplantation, Karachi (SIUT). She also worked as Chief Resident Nephrology at Shifa International Hospital Ltd, Islamabad. Dr. Nasir received her Fellowship degree (FCPS Nephrology) from College of Physicians and Surgeons of Pakistan (CPSP) in Nephrology in 2006 and joined The Kidney Centre Post Graduate Training Institute (TKC PGTI) as a Consultant Nephrologist and Faculty Member in June 2006. In addition to her faculty position, she worked as Transplant Coordinator to establish the Kidney Transplant program. She also worked as Chairperson to Library Committee, Chairperson of Nursing Advisory Committee and Member of the Infectious disease Control Committee of TKC PGTI. Her scholastic achievements include working as Residency Program Director at TKC PGTI and training of post graduate students as Supervisor of Nephrology at CPSP. She left TKC PGTI in 2016 to join King Fahd Military Medical Complex (KFMMC), Dhahran, Kingdom of Saudi Arabia where she worked as Consultant Nephrologist till June 2018. She reunited with TKC PGTI as Consultant Nephrologist/ Assistant Professor in Jan 2019. 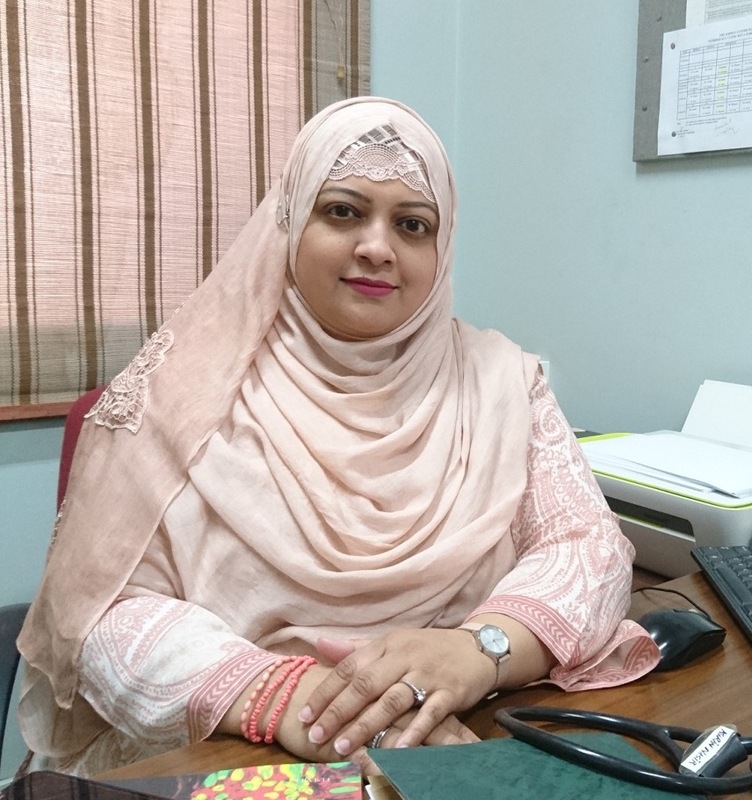 She is member of Pakistan Society of Nephrology (PSN) and Middle Eastern Society of Transplantation (MESOT) Dr. Kiran is a reviewer of Saudi Journal of Kidney Diseases (SJKDT) and Journal of College of Physicians and Surgeons of Pakistan (JCPSP). She has attended and presented at several national & international conferences and also has the credit as an author in well reputable medical journals.